NO COLLISION! Giuliani Doors Manhattan Pedicab - Joe.My.God. Multiple outlets are reporting that Rudy Giuliani was involved in a minor accident this afternoon when he clocked a pedicab driver with the door of his Cadillac when exiting the vehicle in midtown Manhattan. Giuliani was emerging from the rear seat and the pedicab had no passengers. No injuries reported, but Twitter is already on it, you guys. Law enforcement sources tell me Rudy Giuliani was just involved in a minor accident in midtown, at 49th & 8th. Opened passenger door, hit pedicab. No injuries. 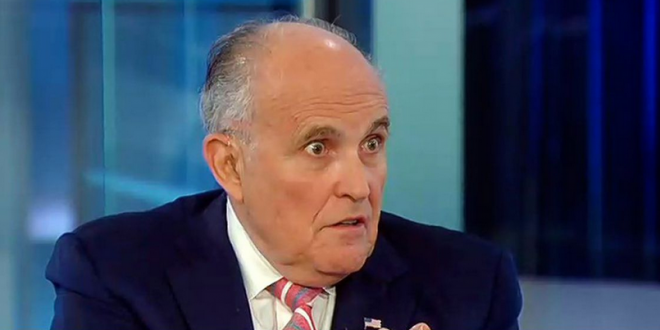 Rudy Giuliani was just involved in a minor accident on @FoxNews. Opened mouth, hit @potus. No injuries. Sources say Rudy was attempting to learn more effective ways to backpedal.